With today's digital cameras it's easy to take dozens of photos with every opportunity, be it a meeting with family and friends or a vacation with the loved ones. Sharing those pictures used to be much more complicated, but this is now a thing of the past with the advent of Facebook, and photo sharing web sites. Handling so many pictures at very high resolutions with huge file sizes will be a laborious task. This is why it's important to reduce the photo size before sending via email or sharing online. 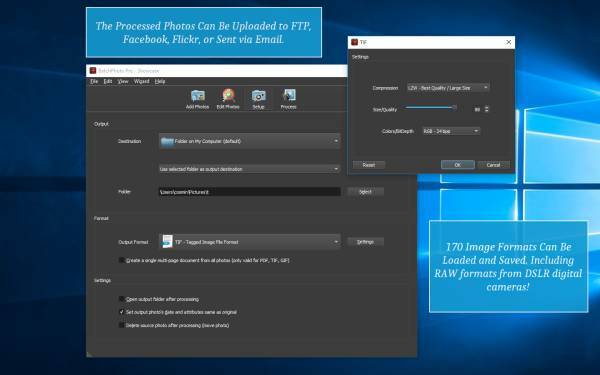 Surely, you can resize your photos one by one with any photo editing software, but if you have hundreds of pictures it will take an awful lot of time and work. 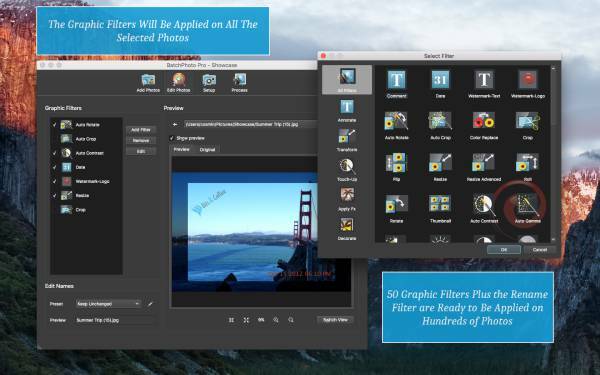 The good news is that this is a repetitive task that can be completely automated with the help of a specially designed bulk photo editor. 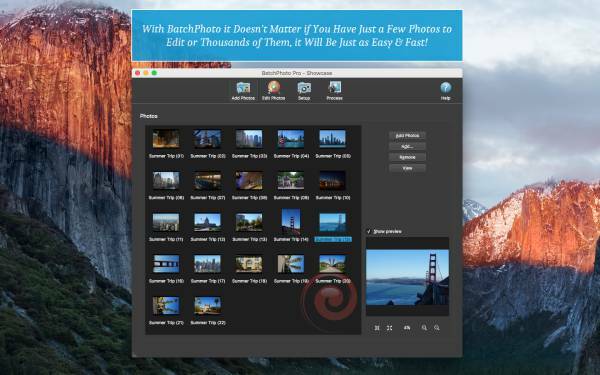 Introducing BatchPhoto, a photo size reducing software for Win & Mac. 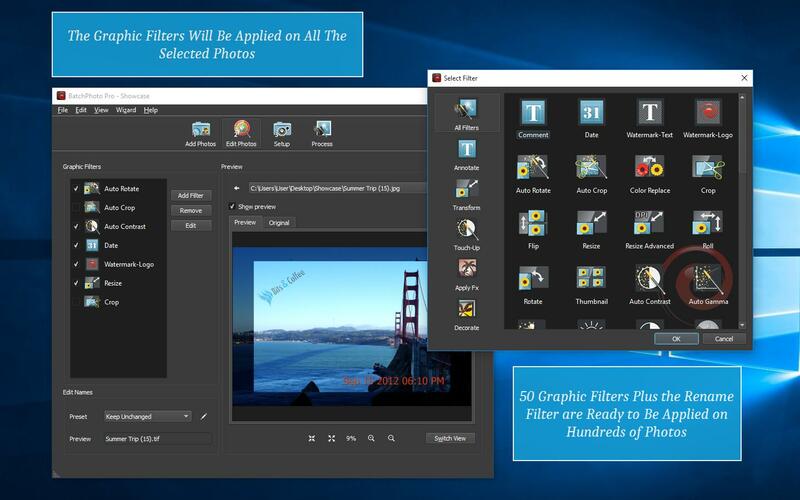 The program is designed with productivity and ease-of-use in mind, so you can easily change photo sizes for hundreds of pictures in one operation, save your settings for later use and even perform all operations with a few clicks from Windows® Explorer's right-click menu! 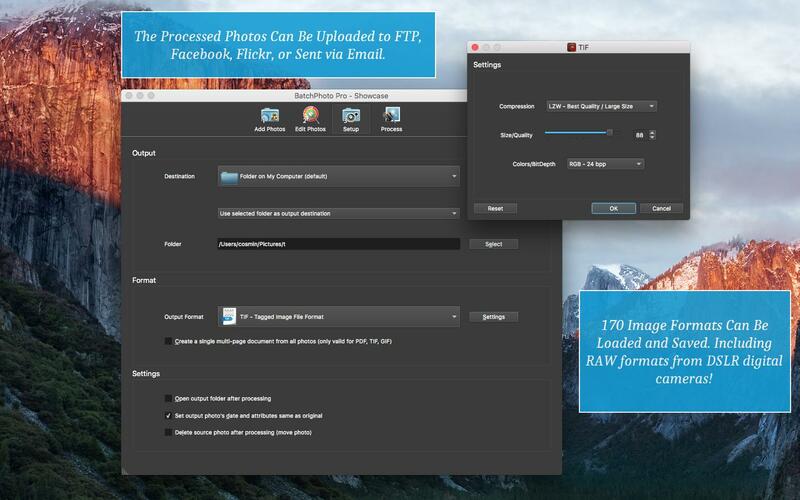 Looking for an efficient way to reduce the size of your photos in bulk? Then try BatchPhoto for free and see what it can do for you! Need more functionality? BatchPhoto has even more useful features to help you keep your photo collection in shape. 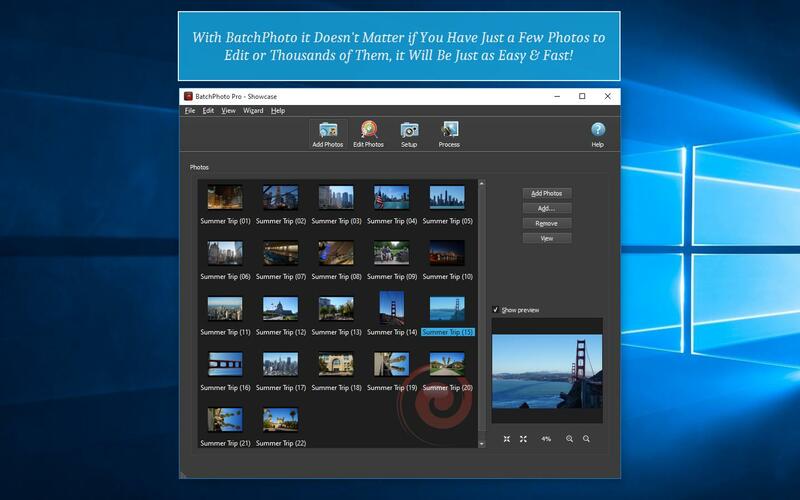 Reduce photo size and rename images with meaningful names, also annotate photos with date/time and comments, all at the same time! So there is more, much more to BatchPhoto than the image reducer!